THE United States is encouraged by recent progress Ethiopia and Eritrea have made toward resolving their longstanding differences. Ethiopia and Eritrea waged a border war from 1998-2000 that killed tens of thousands of people. Disputes over the still-militarized frontier, in particular the town of Badme, have kept the two sides at loggerheads. 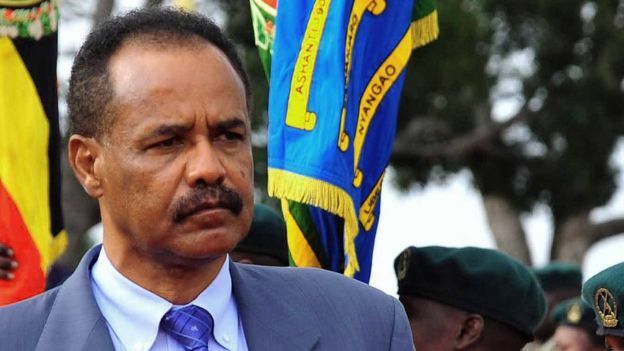 He was responding to Ethiopian Prime Minister Abiy Ahmed’s pledge earlier this month to honor all the terms of a 2000 peace deal, which would include ceding Badme to Eritrea. Isaias and Abiy “have demonstrated courageous leadership by taking these steps toward peace,” the State Department said in a statement. “The United States looks forward to a full normalization of relations and the realization of our shared aspirations for both countries to enjoy enduring peace and development,” it said.